Board ships in the time it takes to order chips from the drive-through, skipping check-in lines thanks to facial recognition technology that knows who they are on arrival. “Our vision is to make the guest experience hassle-free, personalised and fun,” said Schneider. 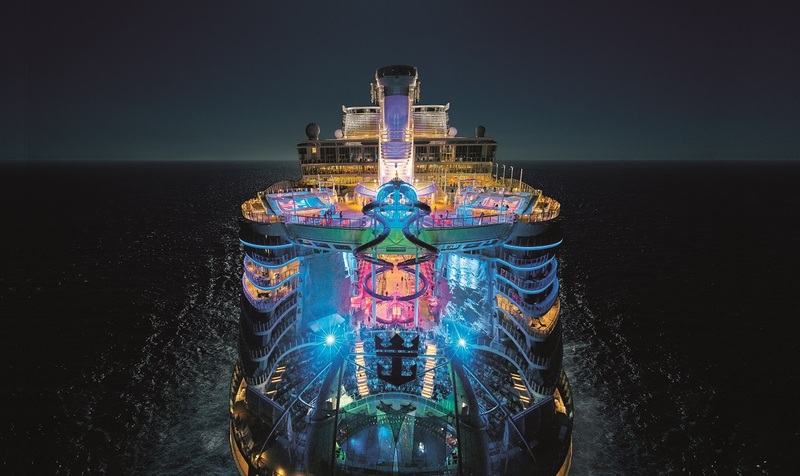 One specific focus is removing time-stealing moments from the cruise experience. “Time spent in the queue – whether you’re waiting for your food, waiting for your bags to arrive, waiting on a table, or booking an excursion – is time stolen from your time off,” Schneider said. To return that time to guests, the company is combining technologies ranging from facial recognition to RFID tagging to GPS mapping to Bluetooth-enabled beacons to streamline boarding, manage check-ins automatically and improve wayfinding. “Many of these same technologies are being deployed to put the power to manage your holiday in the palm of your hand”, said Schneider. “Our new app will make it simpler than ever to book and plan your cruise holiday from home or with a travel agent. Once on board, you can navigate our ships with interactive maps and guides, explore the ship with cool features like x-ray vision, or order drinks that can be delivered to you wherever you are on the ship.” The app, along with the next generation of the company’s WOW Bands, will also unlock guest staterooms and enable guests to control stateroom lighting and temperature. An initial release of the cruise guest app is already available on selected ships in RCL’s fleet. Schneider said RCL will continue to refine the app, adding new ship-specific features and capabilities, with each subsequent release. “Our aim is to have the app enabled on about 15 per cent of our fleet by the end of this year, and more than double that by the end of 2018,” said Schneider. Also showcased at Sea Beyond were innovations aimed at enhancing overall ship management and improving energy efficiency. For example, forthcoming command centres will use augmented reality to assist with navigation and maneuvering. “Think of it as enabling the nautical equivalent of flying on instruments,” said Fain. “Our ships always operate with keen sensitivity to the limitations the weather may impose. But having new means to mitigate the weather’s impacts on departures and arrivals helps us uphold schedule and itinerary commitments important to our guests,” added Fain. RCL is also innovating to reduce fuel consumption across its fleet, which not only lowers operating costs but also lightens stack emissions that are part of cruising’s environmental footprint. Historically, each new class of RCL ships is significantly more fuel efficient than its predecessors as new high efficiency appliances, window tinting and improved lighting, heating and cooling technologies help reduce energy needs. The company continues to evolve hull designs to reduce drag, an evolution most evident in the “bulbous bows” now common on cruise ships. In addition, RCL is pioneering the use of an air lubrication system that coats the hulls of its ships with millions of microscopic air bubbles to further reduce resistance and drag. In initial uses, air lubrication has reduced fuel consumption at speed by 7 to 8 per cent.